The compact ITAR-Free Micro-SWIR 320CSX is Sensors Unlimited Inc.’s next generation SWIR video camera. 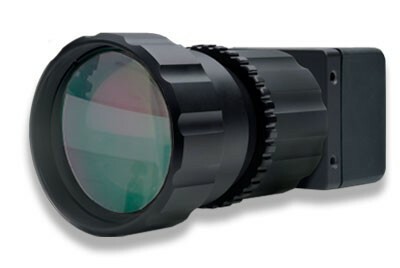 Designed for applications requiring small size, weight, power and capability of a Sensors Unlimited MicroSWIR™ camera, the 320CSX is available at an affordable price and without ITAR restriction. The Sensors Unlimited ITAR-Free Micro-SWIR 320CSX camera features a 320x256 pixel, high-sensitivity, stabilized InGaAs snapshot imager and utilizes Sensors Unlimited’s image enhancement algorithms to produce highest quality imagery in all lighting conditions. The camera provides real-time daylight to low-light imaging in the Short Wave Infrared (SWIR) wavelength spectrum for a range of applications that include industrial process monitoring, enhanced vision, and persistent surveillance. On-board Automatic Gain Control (AGC) optimizes the camera's imagery throughout day and night imaging scenarios. Camera Link® digital output provides for plug-and-play video with 12-bit images for digital image processing or transmission. A modular output allows for additional industry standard interfaces. The light weight, compact size, and low power is ideally suited for integration into industrial process monitoring applications. 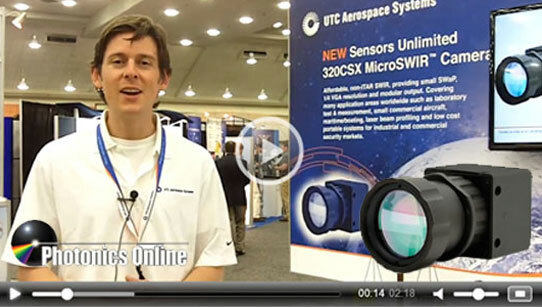 WATCH Photonics Online features Micro-SWIR 320CSX at DSS 2015. Note: This camera is factory configured to operate at either 30 or 60 frames per second at full resolution (320 x 256). The user can configure the camera to operate up to the max frame rate shown in the calculator at full resolution. ** The fraction of pixels with responsivity deviation between +/- 35% from the mean.